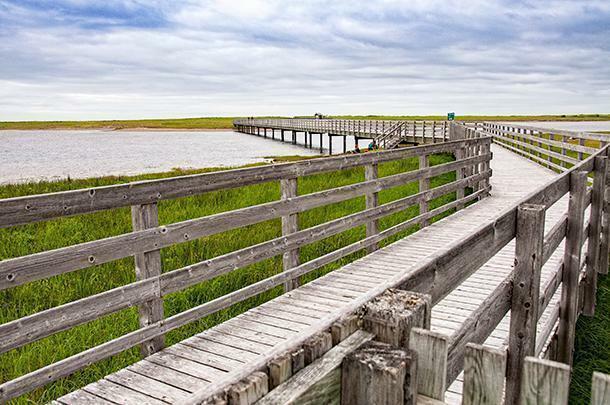 We share eight reasons to visit Kouchibouguac National Park in New Brunswick, Canada from pristine sandy beaches to active outdoor adventures. 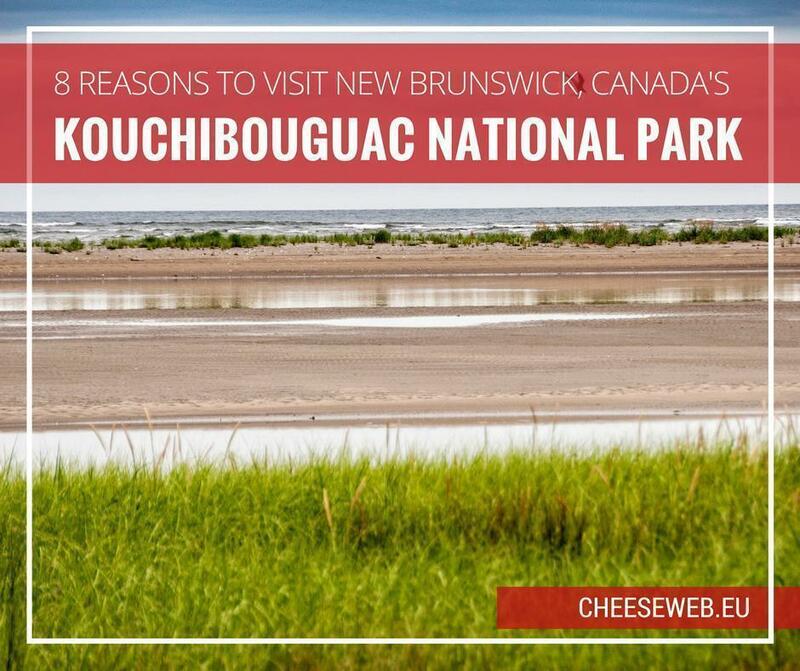 New Brunswick is a province filled with underrated and underappreciated travel destinations and, for me, one of the most overlooked is also one of Canada’s most beautiful National Parks – Kouchibouguac. 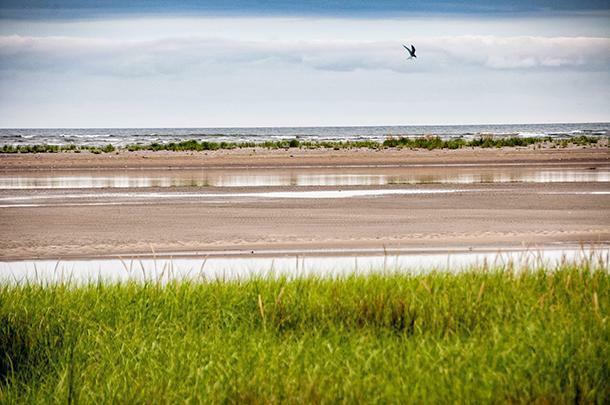 I can hear you now (provided you’re not from New Brunswick); ‘Kouchi-bou-where?’ Kouchibouguac (pronounced koo-she-boo-gwack) means ‘river of long tides’ in the First Nation’s language, Mi’kmaq. Its slogan ‘difficult to pronounce… impossible to forget,’ is a fitting one. 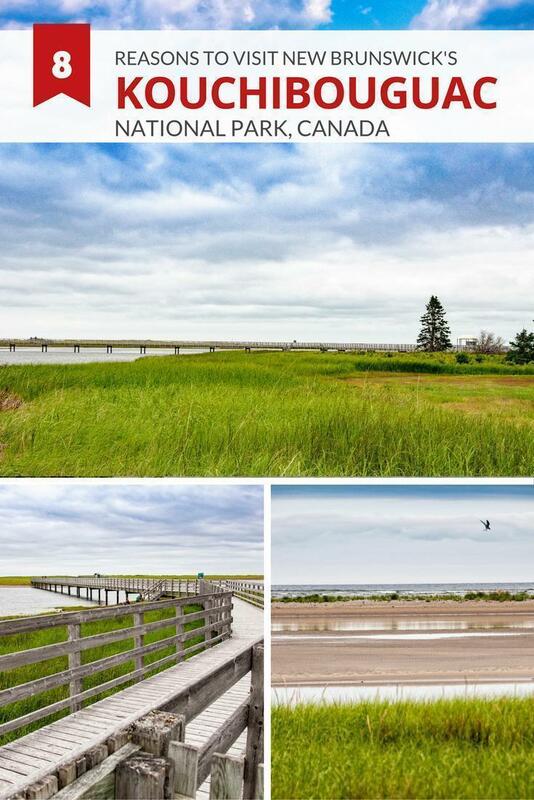 The park is located on the Northumberland Straight on New Brunswick’s Acadian Coastal Route, north of Bouctouche, and claims the warmest salt water north of Virginia. Growing up, Kouchibouguac National Park was one of my favourite places. Although we only visited a few times, it made a lasting impression on me. When Andrew and I first met and started camping together (in a tent! ), Kouchibouguac was one of the first places I insisted we go. When we returned to Canada last year, I immediately put it on my list of places to re-discover. 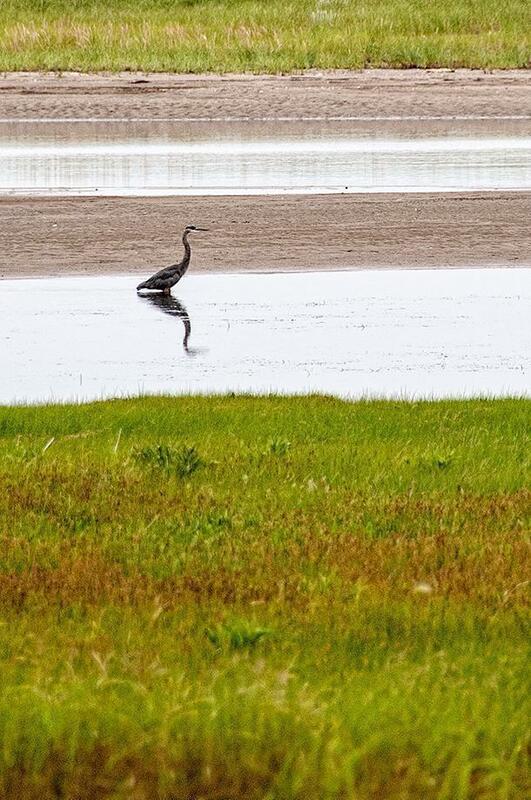 Kouchibouguac encompasses 238km2 of incredibly diverse natural habitats including forest, marshes, bogs, dunes, estuaries, and rivers. It’s really multiple parks in one, and if it existed anywhere else, (with the possible exception of Belgium), people would be shouting about it from the rooftops. But here in New Brunswick, Kouchibouguac is overshadowed by its dramatic neighbour, Fundy National Park. Don’t get me wrong, Fundy is wonderful and deserves its reputation (we’ll have an article on Fundy National Park coming soon), but Kouchibouguac National Park has just as much, if not more, to offer visitors. We returned to Kouchibouguac in early July for a three-day stay in our motorhome, Yeti, to rediscover the park and check out some of its newest activities. Even though it was chilly and rainy while we were there, we still found plenty of things to see and do. Our number one reason for heading to Kouchibouguac was getting out into nature in our motorhome. With dealing with my Dad’s illness last summer, we didn’t have a lot of time to go camping and escaping to nature was therapeutic in a lot of ways. 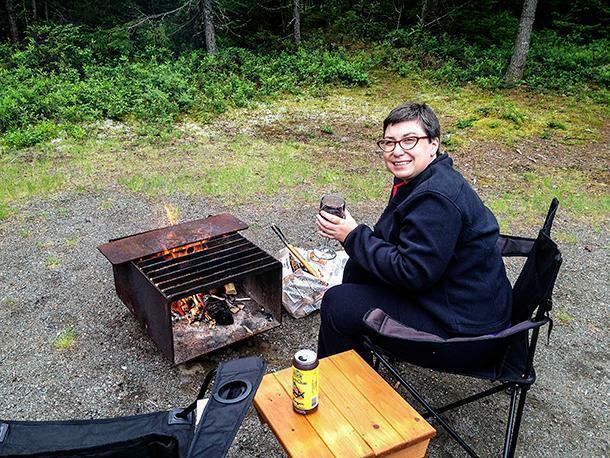 Kouchibouguac offers a variety of camping options. We stayed at South Kouchibouguac, the park’s main campground with 311 campsites. Despite the campground’s size, we had a very spacious lot and were surrounded by trees. We had a picnic table and fire pit (hurrah!) and plenty of power to run all of our electronics. If you want something a bit more off the grid, Côte-à-Fabien Campground is semi-primitive and far from the park’s central hub. There are also three backcountry camping areas available if you really want to get away from it all. Don’t have your own RV or camping gear? No problem. You can rent one of the Parks Canada oTENTik cabins. We’ve spotted these at a number of Canada’s national parks, and we’re really itching to try them out. 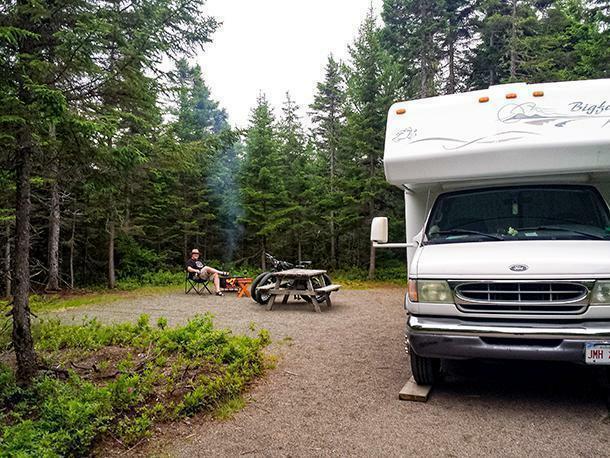 Kouchibouguac also offers three fully equipped units with prospector tents, cots, a stove, and everything you need for a camping adventure. The Kouchibouguac Visitors Centre has undergone a total revamp since my last visit, many years ago. Now, in addition to the helpful park staff at the information desk and the well-stocked gift shop, there’s an interactive museum. Inside Kouchibouguac’s Visitors Centre is a gift shop, museum, and information desk. 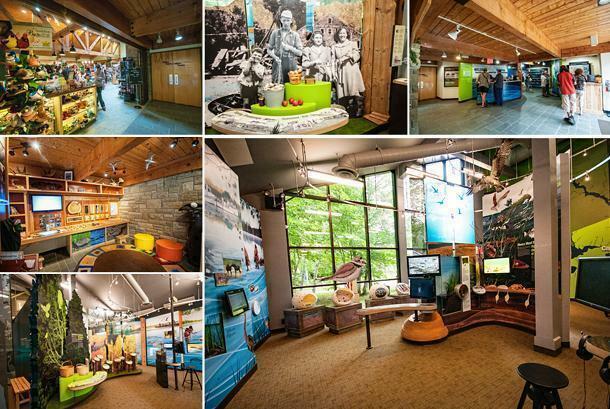 The museum informs visitors about the different ecosystems inside the park, describes the flora and fauna that live there and explains the history of the Kouchibouguac area and the park itself. It’s an excellent introduction to your stay in the park. For me, the best way to enjoy nature is simply to walk and explore. Nature trails are something the New Brunswick parks do very well and Kouchibouguac has 10 of them, at varying lengths and skill levels. Six of the trails are around a kilometre long and are on flat gravelled paths or boardwalks making them accessible to everyone. For a longer walk, the 3.3km Claire Fontaine trail is still relatively flat and easy going, while the 11.3km Kouchibouguac River trail will push your boundaries with a full day hike. The trail names generally give you an idea of what you’ll see along the way. For example, the Bog trail leads to a lookout tower overlooking a bog and the Beaver trail leads to an inactive beaver pond. Fat Bikes were a new feature at Kouchibouguac this summer, and we wanted to give them a try on some of the park’s 60kms of bike trails. Essentially, Fat Bikes are mountain bikes with extra big (fat) tires suitable for all terrain including snow. Full disclosure – I do not spend much time on bikes these days. Other than a few bike excursions in France last year, my biking muscles have long since atrophied. We opted to take the bike trail from Kouchibouguac South to the visitor’s centre, and I thought it would kill me, but that’s my own fault for being out of shape. 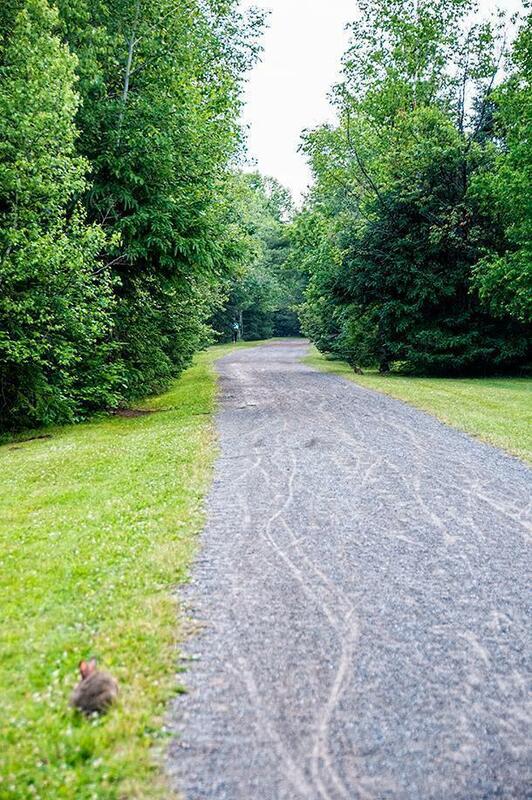 Kouchibouguac’s bike trails are well-maintained, signposted, and gravelled. What they are not is flat. It actually felt like we were going uphill both ways – there was a LOT of uphill. However, if you are reasonably fit and more used to cycling than me, you’ll have no problem. Because I have a strong self-preservation instinct, I did not attempt the Major Kollock Creek Mountain Bike Trail. 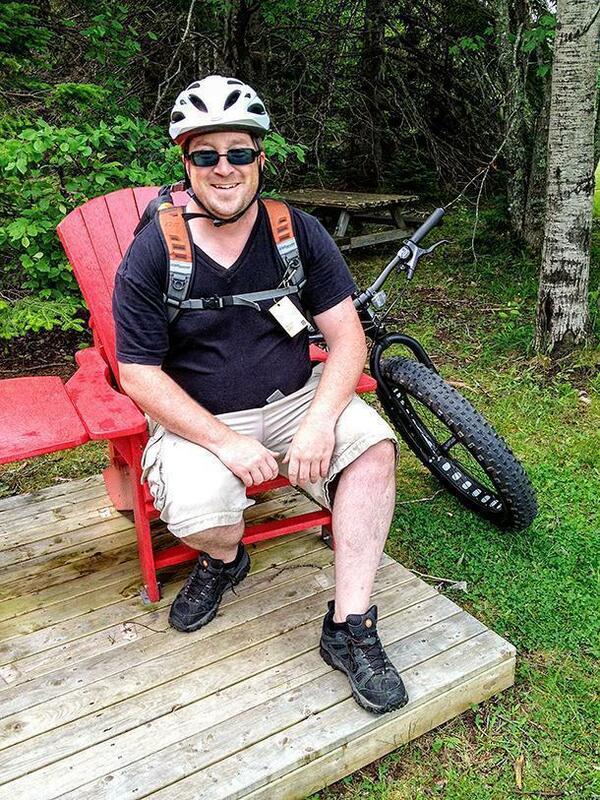 The trail is a 6km one-way-only mountain bike path over rugged terrain and would be perfect for the Fat Bikes. I, however, am not. If like me, you prefer your cycle rides without the adrenalin, you can rent regular bikes in all sizes at the Ryans Rental Centre. New Brunswick is known for its rugged, unforgiving Fundy coastline. What’s virtually unknown outside the province is we have miles (and miles and miles) of beautiful sandy beaches, especially when our extremely high tides are out. Kellys Beach is arguably one of the best in the province. What makes it extra special is, unlike most of our frigid coastal waters, Kellys is actually swimmable in summer. The secret to Kellys Beach is it’s actually many beaches in one. As you stroll out the kilometre-long boardwalk, you cross over a variety of lagoons created by the shifting sand dunes. These lagoons warm up to bath-like temperatures in the hot summer sun. 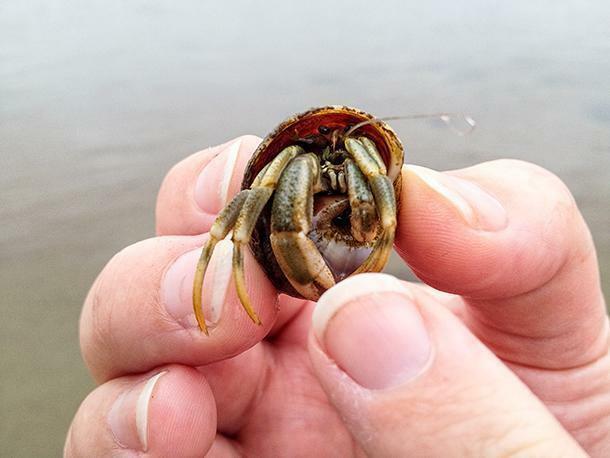 They are also brimming with sea life, from birds to starfish to hundreds of hermit crabs. 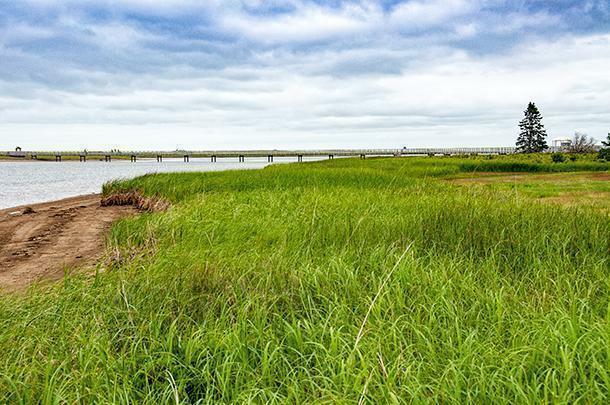 These lagoons are great, safe places for kids to paddle and explore. Just be sure not to wander off the beach. Kellys’ dunes are also prime habitat for the endangered Piping Plover, a small seabird that nests in the tall grasses along the beach. For more serious swimming, head all the way to the end of the boardwalk for the seemingly endless stretch of white sand that is Kellys Beach. It’s colder out here than the lagoons, but it’s clear, supervised, and one of the best beaches in NB. We had long known it was possible to fish at Kouchibouguac, but when a friend mentioned clam digging in the park we wanted to learn more. The season runs from mid-May to mid-September, and you can purchase a softshell clam permit that allows up to 100 clams per day from the Visitors Centre. We were excited by the idea of catching our supper and even had an antique shellfish rake borrowed from my parents at the ready. Luckily we had a backup food source. Sadly, we didn’t find one clam, but we’ve heard tell of folks who have found plenty. We’ll chalk it up to inexperience, but it was fun to search nonetheless and definitely worth the few dollars for the permit. This time around, we didn’t have enough time to get out on the water (as we were busy getting IN the water) at Kouchibouguac. 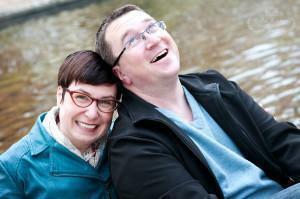 But when we visited back in our 20s (in the Dark Ages) we had a great time exploring the park by canoe. These days, you can bring your own boat, or rent a canoe or kayak once you arrive. There’s no more peaceful way to discover some out of the way corners of Kouchibouguac than on the water. Kouchibouguac also offers a Voyageur Canoe Adventure that takes you on a canoe tour to the barrier islands. It’s a great opportunity to do some birdwatching and spot grey seals while learning about the park. In addition to the Voyageur Canoes, there are plenty of organised activities for Kouchibouguac visitors of all ages and interests. 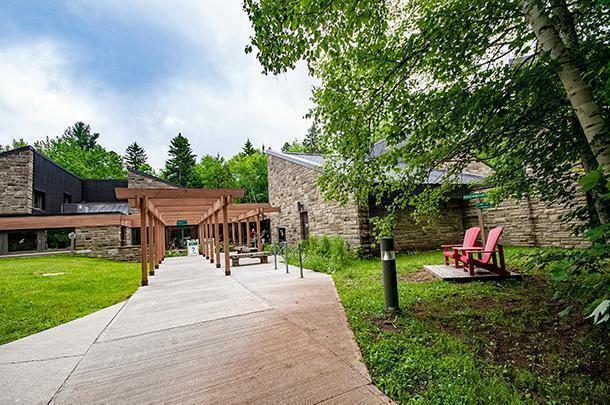 There are guided walks and bike outings, lagoon life explorations, campfire programs with songs and stories, and Wigwam Gatherings hosted by First Nations interpreters who teach aspects of Mi’kmaq culture. There are also a variety of festivals throughout the season including StarFest with the Royal Astronomical Society of Canada, National Aboriginal Day, the Dancing Dune Festival, and the Fall Festival. Be sure to pick up a calendar of events at the visitor’s centre when you arrive at the park, so you don’t miss a thing. 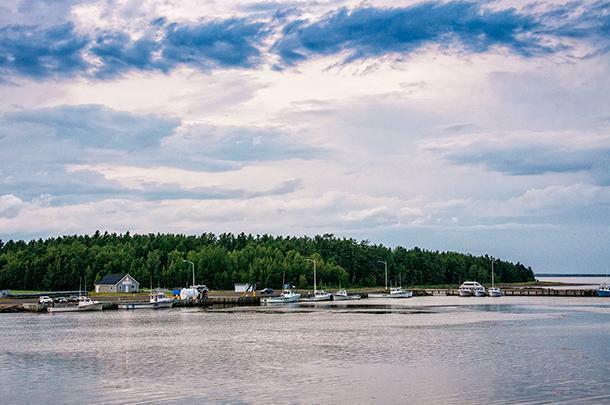 Kouchibouguac is truly one of New Brunswick’s hidden gems. If you haven’t yet discovered this beautiful park, 2017 is the perfect opportunity while Canada’s parks have free admission. We’d like to thank New Brunswick Tourism for inviting us to revisit Kouchibouguac National Park. As always, all opinions are ours alone.